I first had Vishal, the manager at this office, over to value my property about two years before he eventually sold it. In the interim he was incredibly attentive and patient with my gibbering neuroses while we tried to decide whether to move or stay and renovate. He gave me lots and lots of advice and time was always very calming, honest and impartial and NEVER a spiv. We had very particular requirements of the house we wanted to move to and it was Vishal in the end who let us know of the perfect place having come up (even though it wasn't on his books). At this point our house was not yet on the market and we were heading on holiday. It was nothing short of miraculous that he sold it within three weeks saving us from loosing the house we had offered on. Our house was not without its problems and I was very grateful for the way he dealt so honestly with our buyers. I'm quite sure most other estate agents wouldn't have acted with such integrity. Hazel and Wahida were also very efficient and nice to deal with. I have always expected the worst from estate agents who I think are usually the most horrendous disingenuous schmoozers (I realise this is a bit evil - sorry) but these guys really were a glorious exception to the rule. Rented a flat from the Walthamstow branch. A week after moving in, we reported a number of problems to both the branch and their maintenance team. One of the bigger problems being loose live wires hanging from the walls. After three months of phoning them at least 4 times a week, still nothing has been done. Every time I call their maintenance department, I am told someone else is dealing with our problems and will phone me back later that day. Not once have I ever received a call back. Last week the electrics exploded in the flat, temporarily blinding my flatmate and leaving our living room in a mess. 4 days later and still nothing has been done. We also discovered that for the past 3 months we have been stuck on the peak day economy 7 rate because the landlord has done a cowboy job on the electrics. I'd advise everyone to steer clear of Haart at all costs, it will cause you nothing but problems and you'll never feel truly at home. It's worth checking their Facebook page too, plenty of other dissatisfied customers. My dealing with with Bairstow Eves Lettings has been one of the most smooth experiences I have had when renting a property. The agents are polite, respectful, responsive and clear in their communication. The whole processes was handled efficiently making the renting process very easy. Horrible Service. Staff is extremely rude and unprofessional and management supports it. They wanted my card details to withdraw deposit threatening otherwise to give the house to someone else. Never showed a deposit contract. Pomised to fix all problems but then left us with filthy carpets, a broken door, no heating or hot water and even a debt on electric bill. We called them on a Saturday asking to fix the heating and they never called back. Tuesday, still freezing. Thank you Bairstow Eves! We worked with George Burton at Outlook and everything happened seamlessly - quick move with minimal admin. Alway responsive when needed and very helpful. Thank you! They have a good selection of properties. However, I had an issue with a staff member who was quite rude to me. I can not do business with somebody, who in my opinion is unethical. It is a shame as I would like to of viewed some of their properties, but if I don't feel respected by the staff then it is a no-go for me. I was looking for a property to rent specifically in Walthamstow and I heard that Stow Brothers were significantly better than other agencies. I can confirm that their reputation is definitely deserved! They assisted me throughout the tenancy (especially my tenancy manager Chris), going beyond their responsibilities when the landlord wasn't cooperative. When I left for a bigger property, the moving out process was very quick, smooth and really client-focus. I was lucky to have Stow Brothers assisting me through it. Really, really, really bad experience. They represent everything that is wrong with the house buying process in this country, and show exactly why estate agents have a bad rep. Initially they appear straightforward, friendly, professional, but the process at the end was a disaster, primarily so because they didn't do their jobs and were only interested in retaining commission and holding house prices up. They failed explain to us properly the lease situation when the offer was made calling explaining an leasehold with an absentee freeholder as good as a freehold. They then they failed to tell us when our exchange date had to happen in order to retain the chain. This "by chance" happened to be the same day as the Brexit referendum. We wanted to wait to see the result to make sure we were comfortable in case we left and everything that from the prime minister to the head of the world bank predicted would impact house prices was true. They chased us all day of the election letting us know for the first time, that if we didnt sign that day, then we would lose the house we so much wanted. Their agent used pressure tactics, calling, texting, emailing, telling us we had to sign and it was urgent and that if we didnt the deal was off. This was the first time we heard this. They knew clearly a negative result would be against our interests and in the interest of their commission and their vendor. For the vendor - I feel bad as if the situation had been explained and managed by the estate agent then we would have probably resolved it earlier and got our head around the result ahead of time. If stow brothers were responsible they would have this conversation two weeks before the referendum not on the day of the vote! As it happens they didn't even speak to us. As soon as we called at 9am on friday (the day of the result) the estate ended the process and said the house was back on the market. They said the "chain had collapsed" which was news to us. Three weeks later house prices in the area are down by c. 5% - had we paid we would have been immediately in negative equity. The vendor was given our email and sent multiple emails telling us how horrible people were and how we should "grow a pair". I lost £4,000 and a lot of time understanding the complicated lease situation that I referred to above, that according my solicitor and another expert I paid to consult was much more complicated than that. Now Stow brothers have removed me from their database as I am not a secure buyer ! The house I was buying was bought in 2014 for 380K I had an offer of 505K accepted on it. I was making the couple selling c. 100K better off. What is wrong with this country when to get on the ladder I have to half a million to buy a flat in Walthamstow and the people selling it feel like they have right to my hard earned money. Stow brothers is everything that is wrong with the estate agent system; they inflate markets, block people from buying when they choose, they put a nice friendly face on it but underneath its the buyers being screwed and them manipulating system as they choose. Do not use this company, or if you do insist they provide you with a single point of contact, they can not be trusted. 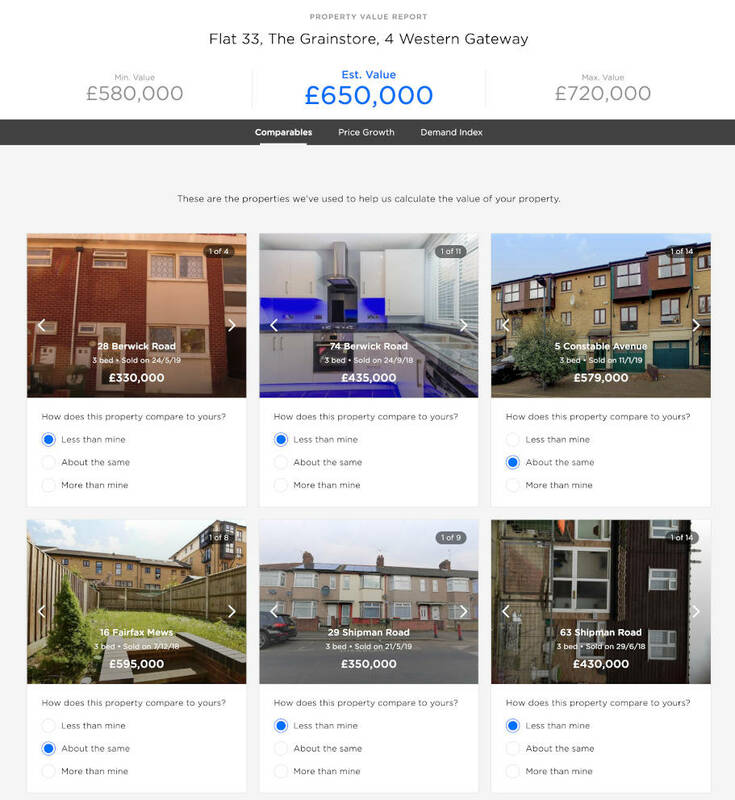 We’ve helped 234 people find the best agent in E17! Our clever technology recommends the best agents in E17.